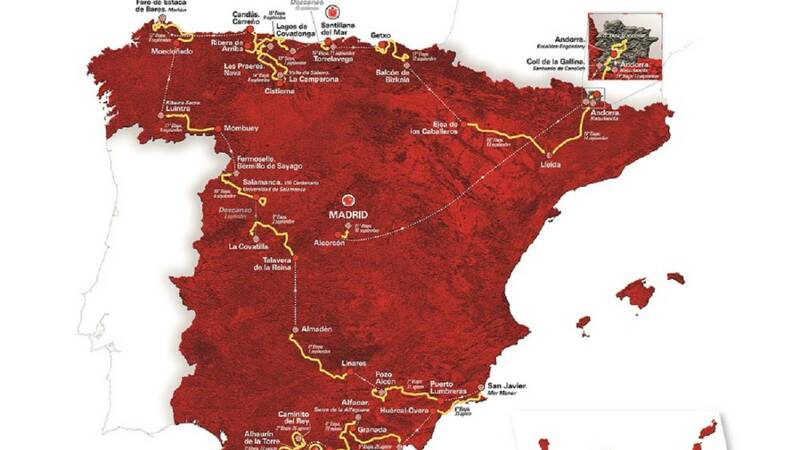 The Vuelta a Espana is Spain's equivalent of the Tour de France. This year's race looks set to be one of the most unpredictable and exciting for some years, taking in the whole of Spain on it's route round. This years race started with a prologue around the town of Malaga. Rohan Dennis duely won. NB: Our top tip for if you want to ride in the Sierra Nevada National Park is to fly to Malaga. There are more flights and a short 1h 30 minute transfer means you get more options and better prices than if you fly to Granada. Stage 2 was meant to be a stage for the sprinters but a combination of Sky and Movistar upped the pace coming up the 2-3% drag to the finish and Michal Kwiatkowski sprinted for second behind the never ageing Valverde, and into the red jersey. Sky in yet another leaders jersey is becoming a grand tour sure bet! The increase in pace put many Vuelta favorites out of contention for the Red Jersey overall, including Ritchie Porte. Stage 3 went the way of the sprinters, with Ella Viviani taking a fairly routine win. Stage 4 went up hill (alot) starting on the coast and heading up via Granada to the Sierra NevadaMountian range and the final climb of the day, La Puerto de Alfacar. The break made it stick with Ben King the worthy winner for Dimension Data. The winner for the Vuelta already looks like it will come from one of the riders in the top 20 and many pre-race favorites such as, Nibali, Bauke Mollema and Zakarin are already out of contention. The good news is that British hopes still fly strongly with Simon Yates. Stage 5 skirted round the Sierra Nevada national park and then finished with a big descent down to the finish. The 25 rider break was given 6 minutes and allowed to contest the win. Simon Clark delivered a long over due win for EF Education and a little known rider by the name of Molard for FDJ moved into the race lead. Stage 6 was another stage for the sprinters. Won by the character that is Bouhanni. It should of been an easy stage, but a crash 20km from the end put a big split in the peloton and over 60 riders lost nearly 2 minutes. To add insult to injury a landing helicopter blew some barriers over, causing a crash after the finish line! We won't ruin today's stage (in case your waiting for the Eurosport highlights) but it should be another sprint stage. As should Saturday. Sunday's stage looks a cracker, finishing atop the Alto de la Covatilla it should make a real GC selection and if we were betting men, has Simon Yate's name written all over it. The Vuelta is doing a great job of showcasing Spain. Check out our Spanish destinations to plan your own Spanish trip.